It was an act of serendipity that brought Emily Schweitzer to Dundee in the early 1950s. Emily was in the area visiting her sister and happened to drive past Binnie farm. When it became available for sale, Emily bought the farm and moved in with her mother. She was born in Chicago, along with her brother, Edwin and sister Evelyn. Her father owned S & C Electrics and was very successful. When she was about 8 or 9 years old they moved to the Northbrook countryside. They had all sorts of pets: dogs, chickens, fish, a pony and a deer, named Betty. 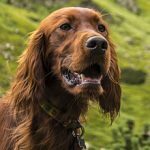 Emily’s father brought home an Irish Setter when she was 12 years old. 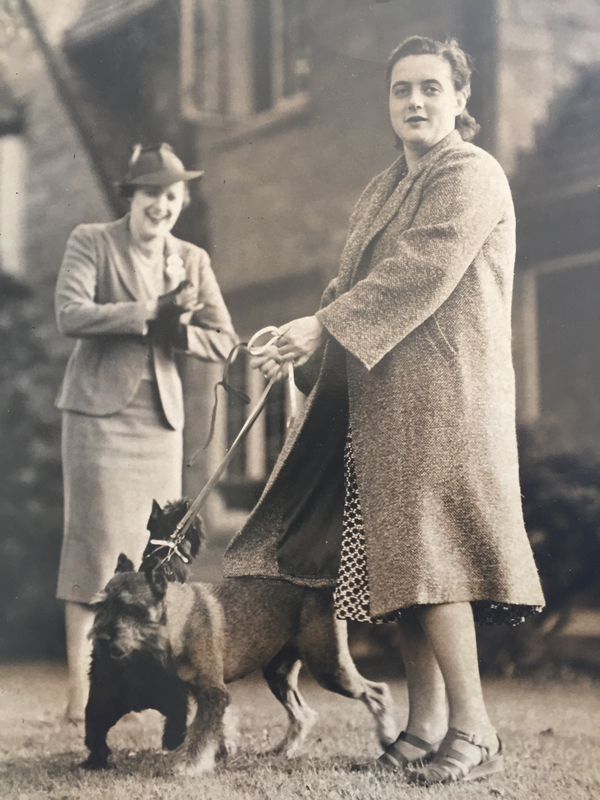 After graduating from the Convent of the Sacred Heart High School in Chicago, she began raising, training and showing Setters. She raised Irish Setters for over 40 years. Emily bred more than 23 championship dogs, and hundreds of artifacts of her breeder-related awards and memorabilia were accessioned to the Dundee Township Historical Society in 2005. 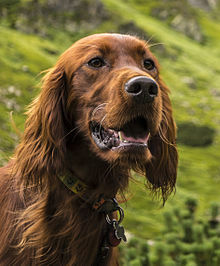 When she died in 2001 at 89 years of age, she was the oldest member of the Irish Setter Club of America. Emily Schweitzer loved the rolling hills, oak forest, meadows, and marshes on her 160-acre estate in West Dundee so much that she wanted the land preserved when she was gone. She bestowed her estate as a gift to her fellow citizens in Kane County. Along with the land she granted her beautiful Edwardian house and matching dog kennel, located on a hill on the southeast corner of the property. Emily passed away at the age of 89, on September 5, 2001. Her last wish was that her land remained passive open space. It’s a legacy carried on today by the Kane County Forest Preserve District and the Friends of the Fox River. Emily also loved dogs and raised champion Irish Setters on the property. The five acre fenced in area where her dogs roamed is open today as a public dog park. Emily’s relative, Nobel Peace Prize winner and famous humanitarianDr. Albert Schweitzer, once said, “At times our own light goes out and is rekindled by a spark from another person. Each of us has cause to think with deep gratitude of those who have lighted this flame within us.” Emily was such a person. Immediately after the lease for the house was signed in 2009, volunteers went to work. The house had been uninhabited for years. Volunteers painted, restored all kitchen surfaces, resurfaced most of the floors upstairs and downstairs, rebuilt the front walkway, repaired & repainted the walls in every room, reclaimed the grounds, repaired the falling porch & screens were built (by a high school construction class), the plumbing system was repaired, a new well pump was installed (by the Kane County Forest Preserve District), the heating system was repaired and converted. During these renovations, use of the center was restricted to Friends of the Fox River meetings, office work, and teacher training. Preparations for the grand opening necessitated a main floor bathroom renovation, front door replacement, and additional flooring and window repairs for safety. Furniture, artwork, and lamps were purchased locally at garage sales and Goodwill and also donated. Schweitzer Environmental Center celebrated its grand opening on Saturday, June 9, 2012. During 2012 and into 2013, renovations still limited the public use of the center to planning and board meetings of the Friends of the Fox River, Jelke Creek and Citizen’s Action Committees, teacher and volunteer training sessions and movie nights. Including monetary donations, donated materials and pro bono/volunteer labor under the guidance of local contractor Dave Reece, repairs totaled nearly $70,000. Participating local businesses were: WW Grainger, A&T Plumbing, Northern Illinois Painting, CK Enterprises, A. Parochelli and Sons, and numerous generous individuals. 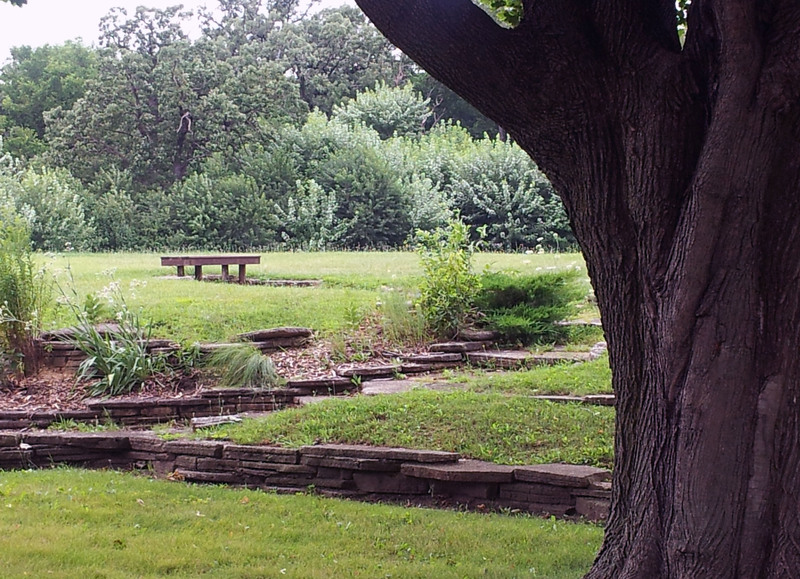 As early as 2009, landscape planting consisting of select native plants in the front and back of the building, was accomplished with donations by Northern Kane County Wild Ones, and concerned individuals. Weeding, mulching and watering continued through 2013. Additional plants were planted, some donated, and $60 worth of petunias and geraniums were purchased with funds dedicated to SEC by the Friends of the Fox River. Volunteers again kept up with regular weeding, mulching and watering. To provide an environment conducive to power point presentations, curtains and shades were purchased and installed, a movie screen was installed along with a podium for speakers. 60 hours of labor were donated to accomplish these renovations, along with over $500 worth of materials, by a generous local family. In 2015, a Grand Victoria Riverboat Grant was awarded by Kane County to replace the windows in the meeting room; Friends of the Fox River matched the grant and new windows were installed. Educational environmental displays and exhibits, in the room adjacent to Schweitzer’s event room, were designed and developed by local high school students and volunteers. The committee is currently planning a capital campaign to raise funds from individual donors and local businesses. Support our work to educate students and the public about the Fox River and the life that depends on it. Click here to learn how you can help.